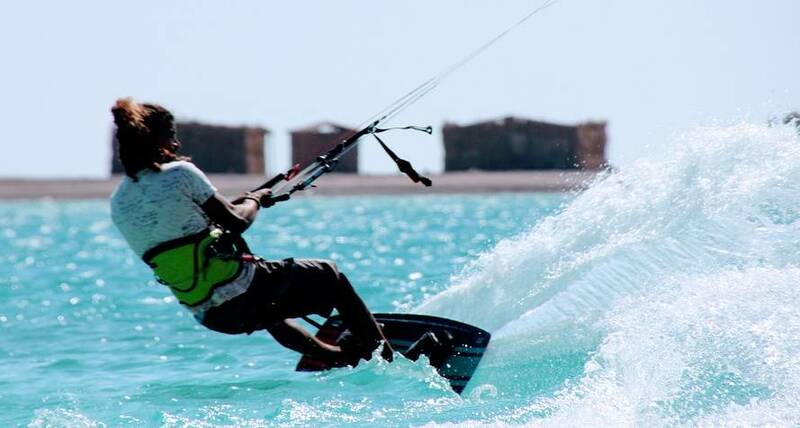 Windsurfing and kitesurfing – what they have in common and what divides them? Read the article below, and you will learn how different from each other are these two disciplines. Windsurfing and kitesurfing are two water sports, they aren’t only a great way of recreation, but also provide an unforgettable experience. Both disciplines are extremely popular and have a fixed group of followers. Combines them two things – board and the person who stands on it. The names of these two disciplines also sound similar – but they differ very much. Windsurfing is a variant of surfing, which consists of moving through the water on a board, to which is attached a sail. The beginnings of this discipline should be sought in California, where in the late 60s of the twentieth century, a group of friends built the first surfboard. Initially, windsurfing discipline was considered as an extreme, designed mainly for lovers of the strong emotions. Later it turned out that it is a source of fun and a great way of recreation and leisure time on the water. Its popularity is steadily growing and a large choice of boards and sails made of it a great family sport, which is getting popular even betwean the small children. The windsurfing is quite simple but usually it requires a lesson with a proffesional instructor, especially on the beggining. Attached to the board sail, rotates under the pressure of the wind, it allowing you to do phrases and various tricks. Kite – also is using the board, except that in place of the sail there is a kite and he isn’t attached directly to the board, only to the bar with a long cables held by kiteboarder. The kite can perform many stunts in the air and get a bigger speed than in the windsurfing. For this reason, it is considered more extreme than the windsurfing. In fact this opinion is wrong, as well as the opinion that this sport is simed only for the lovers of strong emotions. Just as windsurfing, kite can be grown virtually by everyone without restrictions but the first steps must always be done under the supervision of an experienced instructor. Both the kite and windsurfing discipline are providing a great satisfaction that can be successfully cultivated in a different schools. It is definitelly worth to try both of these sports. It’s a great adventure and an interesting way to spend your free time. Currently there is so many surfing schools in every bigger city in Europe. You don’t have to live next to the see to get a first lesson of wind surfing. Anyway, obviously, it is much better to learn is a proper location with the perfect water and wind.